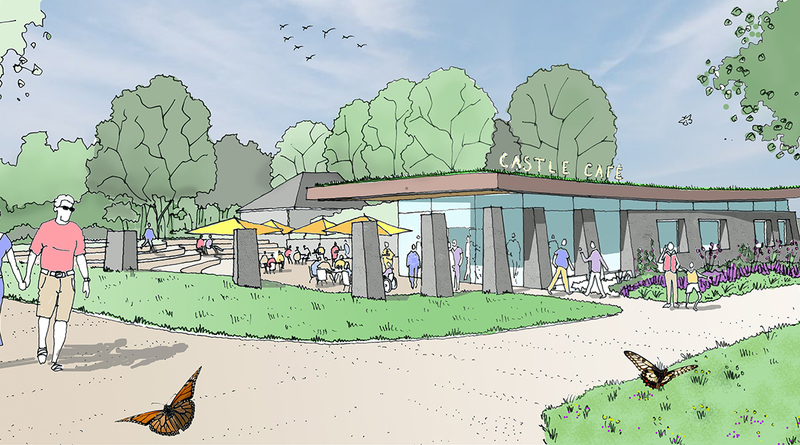 ​Our design is for a community centre within Castle Park, next to the ruins of a Norman castle. 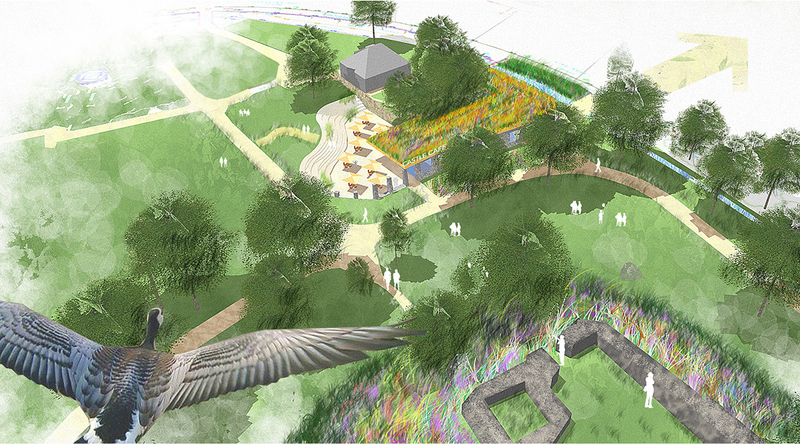 The community hub acts both as a new entrance to the park and a destination in itself. 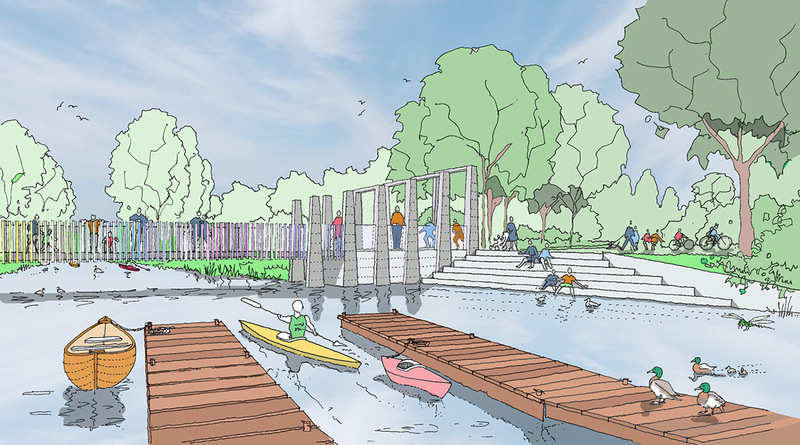 We have designed the building and landscape to integrate together – encouraging people to engage with the historic, landscape and leisure assets of the revitalized park. 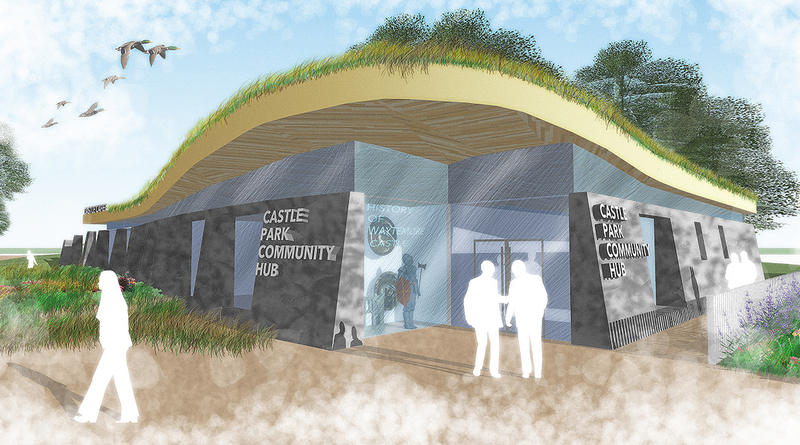 The gentle curved stone wall of the new community building reflects both the castle ruin and the curve of the motte. 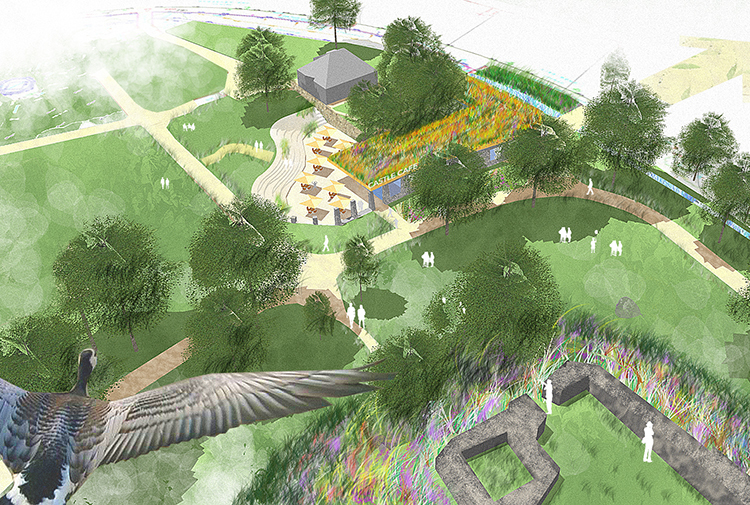 A green roof would offer a view down from the castle onto terraces of green – which also creates a biodiverse habitat and slows down rainwater run-off. The ground is gently graded and re-landscaped to provide easy access for all. Large multipurpose space for 70 people & small multipurpose space for 40 people.